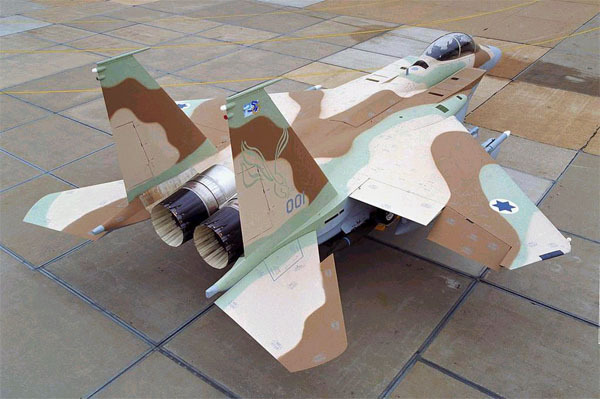 In 1994 Israel bought 21 F-15 fighter jets for 2 billion dollar by Boeing (US). In 1995 they bought 4 fighter jets more. The F-15's are specially develop for Israel out the basic version of the F-15E Strike Eagle. On that basic version were added a few updates. These F-15I's are the most advanced and most powerful fighter jets in the whole Middle-East. It has been developed for attack and interception operations. 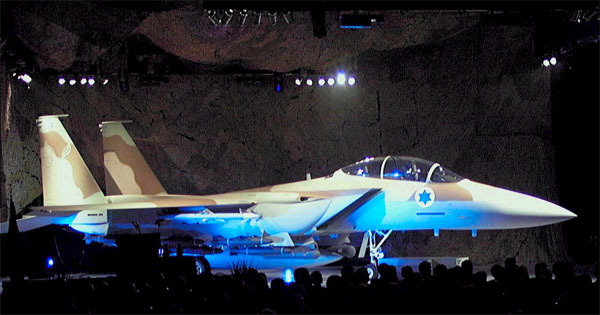 On 19 January 1998 the first 2 F-15I fighter jets arrived on Hatzerim Airbase in Israel. The aircraft were flown by American pilots straight from St. Louis in the US to the United-Kingdom. From there to Italy and then to Israel. 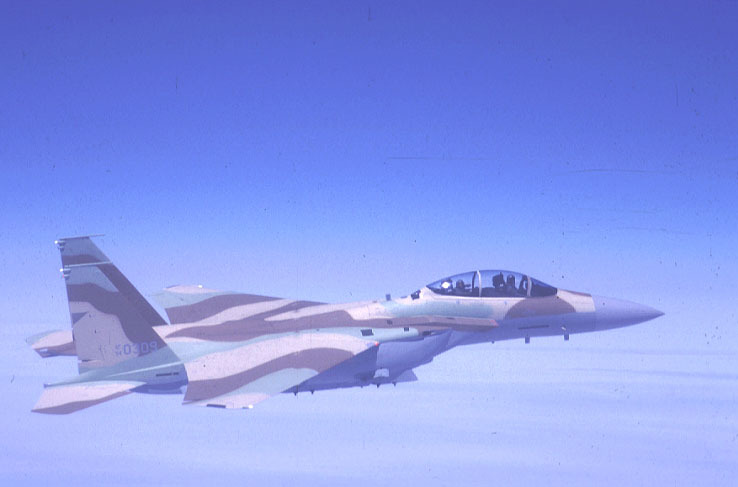 The added systems to the F-15I are unique and developed by the Israel defence industry like the company Elisra. 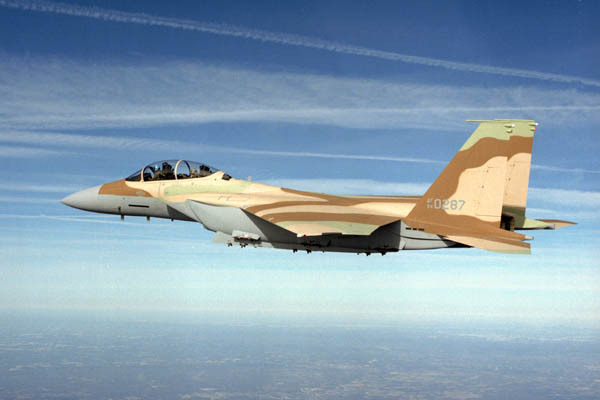 The F-15I is equipped with the US APG-70 radar and a Israeli Rafael LANTIRN system. This system contains 2 pods; a navigation pod and a guidance pod. The navigation pod has a FLIR night vision sensor and a terrain follow radar. With this the fighter jet can fly with high speed at low altitude. This terrain follow radar "informs" the pilot when -for example - a hill is coming. FLIR means: Forward Looking Infra Red. The F-15I has a 6 barrelled Vulcan 20 mm. cannon. It can be equipped with air-to-air missiles like the Python 3, Python 4, AIM-9 Sidewinder, Sparrow and the AIM-120 AMRAAM. The F-15I has a primary role for attack operations. The aircraft has a maximum load of 11 ton munitions.